PostNet is a privately owned company that offers printing, design, marketing, notary, and delivery services to businesses and professionals. It was founded in 1993 by Brian Spindel and Steven Greenbaum. The company has close to 800 franchise business centers around the world. Find more information about the PostNet application and company culture below. Founders Steven Greenbaum and Brian Spindel started working in the packing and shipping industry in the 80s. It was then that they realized that the postal service couldn’t keep up with the demand for these services, especially for business needs. Seeing the need as a franchising business opportunity, they created PostNet. PostNet’s retail stores are called “Neighborhood Business Centers” and are franchised to local business owners. The corporation helps owners start their franchise and provides training, support, and other services. It has franchise locations in the United States, Australia, Brazil, Canada, Colombia, Costa Rica, the Dominican Republic, Panama, South Africa, and Venezuela. The company’s corporate headquarters are in Boulder, Colorado. It operates with a strong set of core values that center on helping individuals and businesses succeed. Their values include: care for others, be engaged, be open to change and innovative ideas, be accountable, lead with purpose, and have a can-do attitude. The work environment at PostNet is dynamic with several available employment options. Job opportunities at their franchise’s neighborhood business centers include: sales associate, customer service representative, cashier, graphic designer, assistant manager, and manager. Depending on where the center is located and what services are offered there, the roles can vary. Corporate positions are based at the Boulder office but may occasionally be asked to travel outside the area to store locations. Corporate PostNet careers include: human resources specialist, franchisee business support consultant, financial support representative, accountant, franchise developer. For many in this area, the primary responsibility is to support franchisees in making their branch successful. How old do you have to be to work at PostNet? 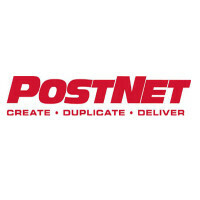 In order to work for PostNet, applicants must be 18 years or older. PostNet employee benefits include flexible work hours, training and growth programs, vacation and sick time, and discounts on shipping. They also have lower experience requirements than some other retail printing companies, so it can be a great opportunity for younger employees to improve their skills and build on top of their work history. Neighborhood business centers are open from 8 to 5 on weekdays. Their weekend schedule is not like other retail companies. Many centers are open for only 4 hours on Saturdays and are closed on Sundays. For corporate employees, the hours are different. The typical working hours are from 9 to 5 during the week. Customer Service Representative – Members of the customer service team help shape the PostNet shopping experience. They must be able to clearly communicate with customer in-person, on the phone, and through email. Being able to sale and upsell services is also a desired skill. Over one year of customer service or sales experience is preferred. On average, salary is $10 an hour. Store Manager – Responsibilities of the store manager include: leading the retail team, creating work schedules, managing daily operations, driving sales goals, hiring and training employees, and resolving any customer issues. Previous management experience is required to be considered, and graphic design knowledge is a plus. A store manager generally earns around $30,000 per year. Graphic Designer – Graphic designers create custom logos, business cards, and other marketing materials for PostNet customers. Candidates must be knowledgeable about design programs like Adobe Photoshop and Illustrator. One year of previous design experience or a degree in Graphic Design is preferred. Typical pay is generally between $13 and $15 per hour. Financial Support Representative – Members of the financial support team are responsible for training franchise owners how to manage the finance-related tasks associated with running a business. They are expected to be knowledgeable in Excel and QuickBooks online. A Bachelor[s degree in accounting or finance is required, and a year of relevant work experience is preferred. Average salary is around $14 per hour. The PostNet application process includes an interview. Here are some of the frequently asked questions. What three words would you use to describe yourself? This question is used to learn more about a candidate’s working style, behavior, and demeanor. PostNet jobs online often look for outgoing, customer-oriented, and friendly individuals. Have you ever had to handle an angry customer? This is an especially important question for managers. They want to know that you can resolve conflict in a professional, appropriate way. Financial support candidates may be asked: What experiences do you have managing business finances? Have you ever made a clerical error and if so, how did you fix it? Interviewers want to know your financial expertise and how you handle correcting mistakes. What professional graphic design work have you done? This question is meant for graphic designer candidates, because they want to know that you have the necessary experience. Citing specific examples or bringing them to the interview can boost your chances of landing the job. Do you know Adobe, Photoshop, or other design software? Even though some employees don’t create the designs for customers, they are often seen as sources of information for businesses. This is why having a knowledge of certain programs is preferred for store members and leaders. The following explains how to apply for PostNet online. Each PostNet franchise location has their own customized website that can announce available career opportunities. Interested individuals can apply for jobs at PostNet through their local center to find an online application, printable application form, or download application form. A printable application for PostNet may also be picked up inside a center. Individuals may also find PostNet jobs posted on career sites. Here, they can find a job description and an apply online form. Applications will ask for general information like address, name, and phone number. Some free application forms will also ask users about previous experience and to upload a resume or a link to work samples. Franchise owners and managers are responsible for hiring new employees. When direct applications are sent to them, they must review them and decide if they want to conduct an interview. Once you land an interview, begin preparing. Print your resume, research the company, and brush up on your knowledge of design programs. Arrive a few minutes early in business casual clothing. Smiling, eye contact, and friendliness are key qualities to bring into the interview. Most hiring decisions should be made within one to two weeks after the interview. In some cases, you may hear back from them within a few days or less. Kumon: Visit the Kumon application. The Learning Experience: See this page for jobs at The Learning Experience. Pet Supplies Plus: See this page for jobs at Pet Supplies Plus. Bright Horizons: Bright Horizons offers opportunities for both, beginners and experienced roles. Caterpillar: Checkout the application page for work at Caterpillar.